2. Boko Haram emerges: In the early 2000s a similar group appeared, called the Yusufiya (followers of the charismatic Mohammed Yusuf) or Nigerian Taliban and later Boko Haram. It rejected secular authority. Over time its position hardened. In 2002, a more radical faction split and was led by Abubakar Shekau and Aminu Tashen-Ilimi. They accused Yusuf of being too soft. 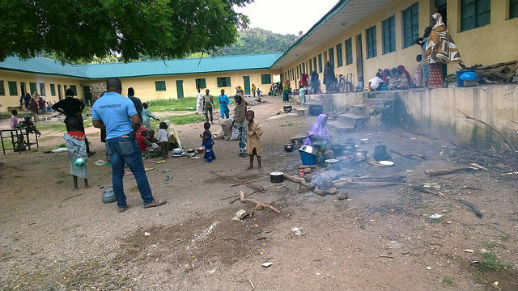 They went underground after they attacked two communities in Borno state, Dapchi and Kanamma, where adherents had tried to live an ascetic life, but were disrupted due to conflict with locals. 3. Truce: Yusuf, who had fled to Saudi Arabia in 2003, was declared a fugitive by the police. He claimed he had nothing to do with Abubakar Shekau’s attacks on the two Borno villages. The deputy governor of the time, Adamu Dibal, met Yusuf while on Haj and used contacts with the security agencies to obtain permission for him to return to Maiduguri, Borno’s capital. 4. After his return, Yusuf called for an internal truce with Shekau in December 2004. Yusuf’s preaching became more radical. 5. Ali Modu Sheriff: Yusuf rose to much greater prominence when he reportedly formed an alliance with Ali Modu Sheriff, the three-time Governor and Senator and wealthy businessman from a prominent Maiduguri family. The connection allegedly also generated resources for Yusuf and his followers. Sheriff and his associates have denied any alliance with Yusuf, and have accused the People’s Democratic Party, of which President Goodluck Jonathan is the head, of creating Boko Haram. 6. Insurrection: Yusuf’s criticism of Western education brought him into disagreement with other Muslim clerics who had warned the government about the group. Nigeria’s State Security Service arrested and interrogated Yusuf several times, which caused his popularity to soar. In December 2008, the Borno state government charged him with terrorism, but politicians allegedly intervened and he was released on bail. Clashes in 2009 escalated in July into a full-scale armed insurrection to establish an Islamic state in Maiduguri and some cities in the north including Bauchi, Potiskum and Kano. A brutal, multi-day military crackdown killed more than 800 people, mostly Boko Haram members. Sheriff declared a man called Buji Foi was wanted for funding Boko Haram. He was arrested by the military in his village farmhouse and taken to the state police headquarters in Maiduguri, where he was killed. Two days later Yusuf was captured by troops, handed over to police and shortly thereafter extra-judicially executed at police headquarters. A man called Baba Fugu appeared voluntarily at the headquarters, but was also killed. 7. Re-emergence: After the 2009 crackdown, Boko Haram went underground for a year before resurfacing with attacks on police and military to avenge the killings of Mohammed Yusuf and others. They also carried out jailbreaks and demanded prosecution of Yusuf’s killers, release of detained colleagues, restoration of its destroyed mosque and compensation for families of members who had been killed. Boko Haram expanded its attacks to assassinations of neighbourhood chiefs whom it believed helped troops to identify members, and of Muslim clerics who opposed their ideology. They also started killing Borno State All Nigerian People’s Party politicians, whom they claim reneged on promises. “After the politicians had created the monster”, a former State Security Service officer said, “they lost control of it.” Victims included Madu Fannami Gubio, a gubernatorial candidate, and Modu Sheriff’s cousin, shot with five others outside his family house in Maiduguri in January 2011, and Awana Ngala, ANPP’s national vice chairman, shot in his home with a friend the following month — and just more than a month before general elections. This led the ANPP to accuse the rival PDP of orchestrating the killings. A group Sheriff is said to have grown nicknamed “ECOMOG” also became targets; most were forced underground, while others fled Maiduguri. 8. Political links: Controversy over alleged political links continue. In October 2012, it was reported that the Joint Task Force ( or JTF, a combination of military, police and other security agencies) arrested Shuaibu Mohammed Bama, a top commander of Boko Haram in the Maiduguri home of his uncle, Ahmed Zanna, a PDP senator. Zanna strongly denied that Bama was arrested there and insisted that he was actually arrested at the home of Modu Sheriff. Zanna’s assertion opened a floodgate of recriminations, with each accusing the other of sponsoring Boko Haram and issuing their own denials. The State Security Service interrogated and released Zanna; no charges have been filed against him or his nephew, who apparently remains in custody. The local population is convinced that politics played a role in the crisis. Even the “Civilian Joint Task Force,” comprised of youths helping the security forces combat Boko Haram, vented its rage at the political establishment, storming the private residence of the Borno state ANPP chairman, Alhaji Mala Othman in July 2013 and setting it ablaze. The task force alleged Othman was a sponsor of Boko Haram. Subsequently, hundreds of youths also tried unsuccessfully to burn Sheriff’s private residence. They asserted that both Sheriff and Othman supported Boko Haram and had fuelled the crisis. Othman was taken into JTF custody and held for more than a month. 9. Church targeted: In 2011, Boko Haram spread its campaign to churches. Abubakar Shekau’s increasingly anti-Christian rhetoric has resulted in numerous attacks on Christian villages, their churches, homes and businesses, leaving thousands dead. 10. Sophisticated: Tactics became more sophisticated, both in response to increased security and in an effort to stir sectarian conflict. The first attacks in 2010 were predominantly shootings, but improvised explosive devices, or IEDs, began to be used in December, especially in the run-up to the 2011 elections. After those elections, the movement turned to vehicle-borne IEDs, cars typically packed with several propane cylinders or explosives-filled drums. In August 2011, it attacked the UN headquarters in Abuja with a suicide vehicle bomber. 11. Evolving: A sweeping crackdown in September 2012 resulted in arrests and killings of prominent members while scores of top Boko Haram commanders fled, apparently to Mali and Somalia. Controversy over alleged political links continued. In early 2013 Boko Haram started taking control of large swathes of northern Borno State. In response, the government increased the national security budget, overhauled the national security apparatus, replaced Service chiefs, passed new anti-terrorism legislation, and deployed new military hardware, including Nigeria’s first unmanned aerial vehicle. In addition, a state of emergency, imposed on the three worst-affected states of Borno, Yobe, and Adamawa since May 2013, gives the military the authority to take all necessary actions to tackle the terrorists. Its efforts have been supplemented by civilian vigilantes, organized into a so-called Civilian Joint Task Force. 12. Boko Haram’s tactics, however, continued to evolve, and it increasingly relied on attacks on schools, villages and Civilian Joint Task Force groups. It has reportedly also resorted to forced conscription and recruiting of criminals and kidnapping for ransom. Although they have been pushed into the bush, they continued to carry out spectacular attacks that grew in their audacity. 13. Abubakar Shekau: Boko Haram grew to prominence under the charismatic Mohammed Yusuf. But with Abubakar Shekau at the helm of its most significant faction, Boko Haram has grown more ruthless, violent and destructive and less open to dialogue. Shekau has repeatedly ruled out talks with the government, despite claims by some purported sect members that these were ongoing. The security forces became more aggressive in turn in September 2012, almost catching Shekau as he visited his family to attend the naming ceremony of a newborn child. Shekau escaped with a thigh wound but his wife and three children were taken into military custody. Shekau may have fled to Gao, in northern Mali, when it was held by Islamist armed groups, but resurfaced in 2013 in internet videos demanding the release of detained Boko Haram women and children, presumably including his own family. 14. There have been many claims by the government, none substantiated, that they have killed Shekau. 15. Divided: Since 2010 Boko Haram has split into many factions with varying aims, to the point that some believe it is too fragmented to present a common front for dialogue. Many of these factions were either eliminated by security forces or forced to join stronger groups to avoid capture or death. 16. Connected: Boko Haram has formed links with foreign Islamist groups, such as al-Qaeda in the Islamic Maghreb (AQIM) and Al-Shabaab in Somalia, that have radicalised its leadership. Since 2009 the sect has grown from being a localised problem to a national and regional threat. “It has opportunistically tapped into Islamic revivalism globally, and while it has local roots and origins, it is part of a broader, global ideological current,” explains Terje Osteba, author of Islamic Militancy in Africa. In some cases, this includes ties to organisations outside Africa. One member who was arrested claimed to have received training in Afghanistan. Between 2000 and 2002 Osama bin Laden issued two audio messages calling on Nigerian Muslims to wage jihad and establish an Islamic state. In November 2012, Shekau posted a 39-minute video on extremist websites saluting global jihadists and expressing Boko Haram’s solidarity with al-Qaeda and its leaders – a departure from the group’s domestic focus.